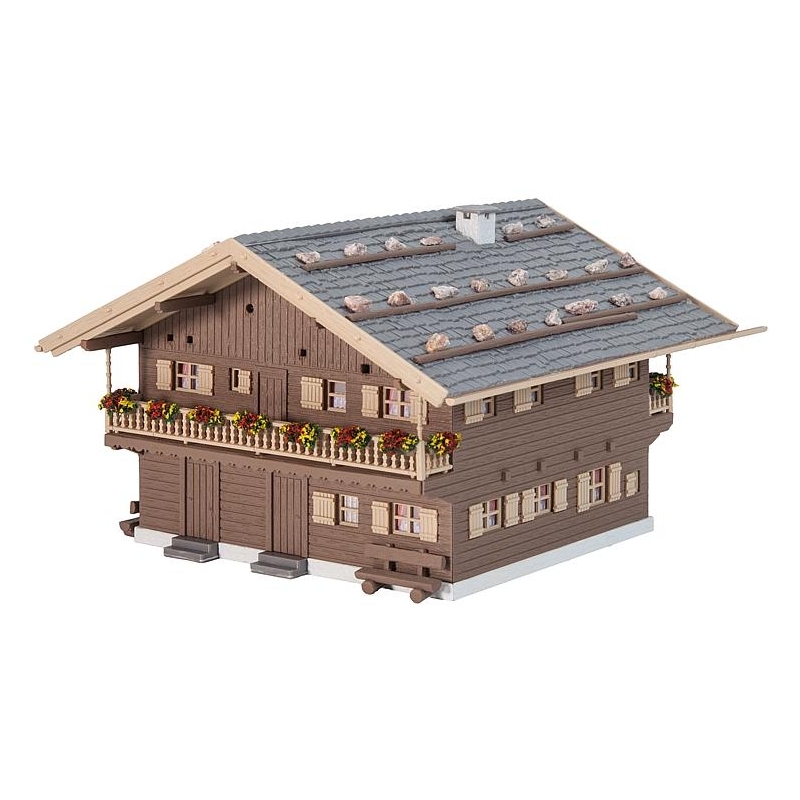 Alpine ambience! 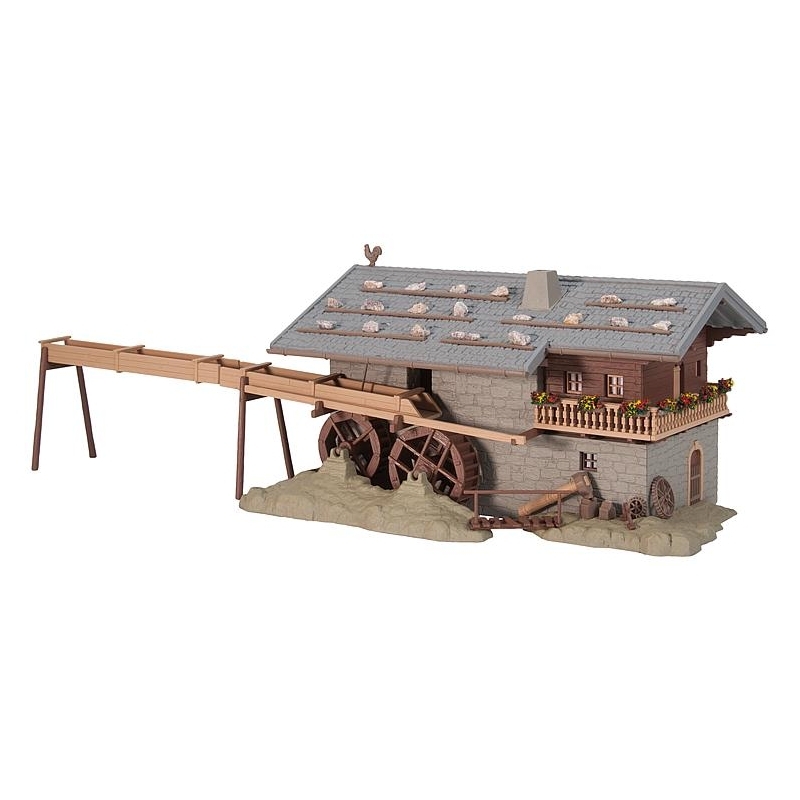 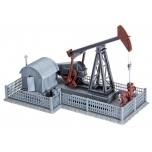 Multiple-piece set in alpine rural style with traditional apartment building, a masonry hammersmith’s shop with waterwheel, a small hay barn as well as a harvesting wagon, wheelbarrows, ladders and many others more as matching accessories. 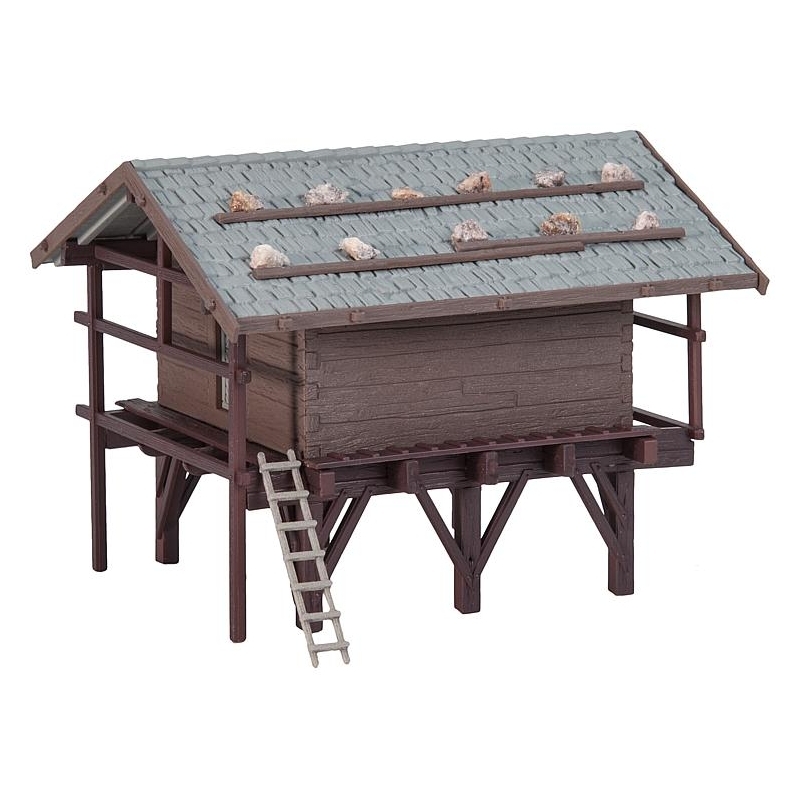 This building kit contains: 355 single parts in 13 colours, window foil, 2 paper masks and 3 construction instructions.